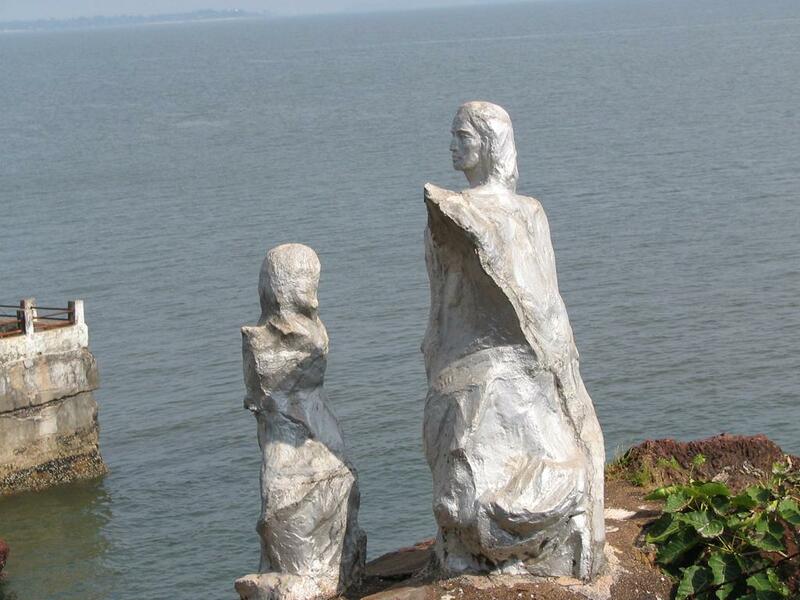 Dona Paula Beach Goa – A tragic love story ! The Dona Paula Beach (a 10 minute drive from my Mitaroy Goa Hotel) is a pristine beach with a tragic love story to its name. Dona Paula beach was named after the Portuguese Viceroy’s daughter Dona Paula de Menezes. This young, innocent girl fell in love with a local Goan fisherman. Of course, this match was unacceptable to the Viceroy who forbade his daughter Dona Paula to ever see her young lover again. Distraught with love and sorrow, Dona Paula could not bear a life without her young Goan lover and threw herself off a cliff into the unforgiving Arabian Sea. The bay of Dona Paula in Goa lies at the sangam (or meeting point) of the Arabian Sea and the Goan rivers Mandovi and Zuari. Dona Paula is located in the suburbs of the capital Panjim (where our Mitaroy Goa Hotel is located). Dona Paula is also a very fashionable residence for the rich and famous of Panjim. Originally a fishing village, Dona Paula attracts its fair share of visitors and tourists who come to marvel at its pristine beach, its natural beauty and the romantic legend associated with it. When you are in Dona Paula, you must visit the ruins of the Cabo Fort, erected in 1540. The Cabo Raj Niwas is one of the most elegant governor’s residences in the whole of Goa.There is also a 180 year old English cemetery, open to the public along with a chapel, which has a memorial tomb of Dona Paula de Menezes with her history engraved on the tombstone. In Dona Paula, you also have the National Oceanography Institute which was opened in 1960 to study the local Goan marine life alongwith the Marine Biology Museum. A little further (around 9 kms from Dona Paula) is the famous Salim Ali Bird Sanctuary, in the island of Choro by the side of the Mandovi river and named after the famous Indian ornithologist. The Bird Sanctuary is spread over an area of 2 sq km and is a delight for bird lovers. 10 km from Dona Paula is the famous Reis Magos church. This historical landmark is one of the oldest Churches in Goa and was dedicated to the three wise men of the East who brought the baby Jesus gifts of frankincense, gold and myrrh. The Dona Paula beach itself is one of Goa’s best beaches for water sports such as windsurfing, water skiing, para sailing, motor boat rides etc. There are also several organised water sports facilities on offer in Dona Paula. If you do happen to get serious hunger pangs with all the water sport action, there are quite a few seafood restaurants along the stretch from Dona Paula to Miramar – including Martin’s Beach Corner, Sea Pebble, Menino’s and Sea View. Great one on Dona Paula dude !! I had heard bout this long back but duly forgotten ! Keep coming out with more such gems buddy ! Buddy, thanks for the heads up man ! How do you like the new arrangement of my website ??? Does it encourage you to browse ??? Are the featured articles interesting ??? Do you have a story script of Dona Puala….. I remember the story cause it came in our Pre-Boards as comprehension! !…..That time i was fiercly in love with a girl named Dona. And i still miss her she left India long back! !